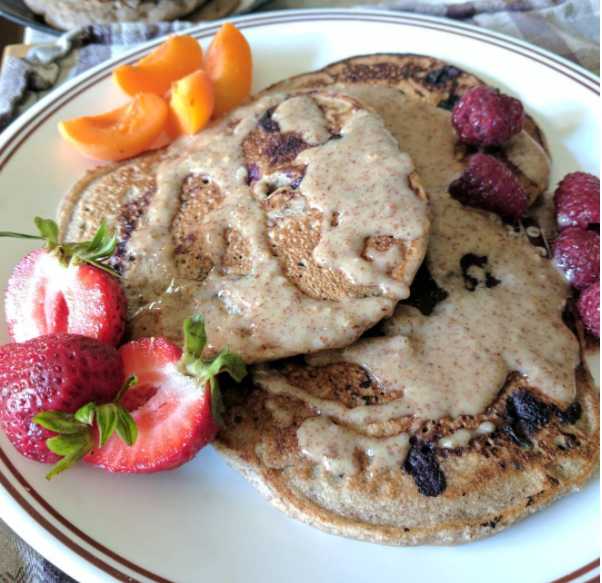 In June we invited our wonderful vegan community to celebrate fruit, and you didn’t disappoint! Here’s a roundup of the most mouth-wateringly delicious offerings we found. As always, there was a strong showing on Instagram, so make sure you’re following all of our inspirational vegan ‘grammers! Over at VeganMoFo HQ we’re big fans of putting fruit on top of a treat and calling it healthy. Jenny shows how it’s done with these pancakes. 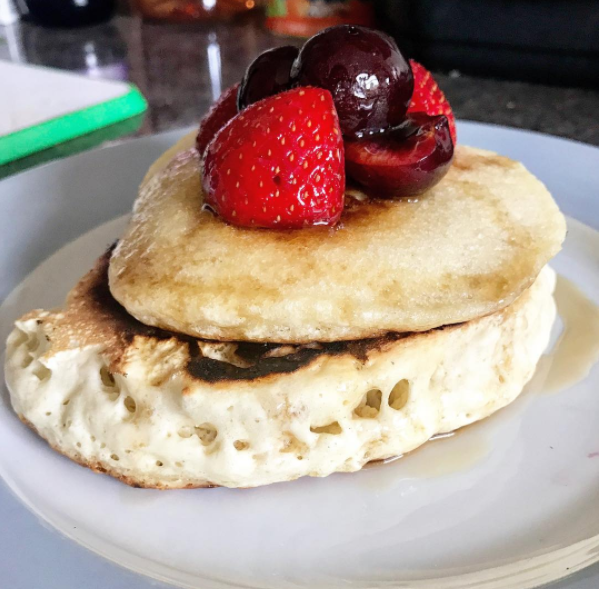 Fruit and pancakes were a popular combination, as demonstrated by Emily with these buckwheat and blueberry pancakes. Yum! 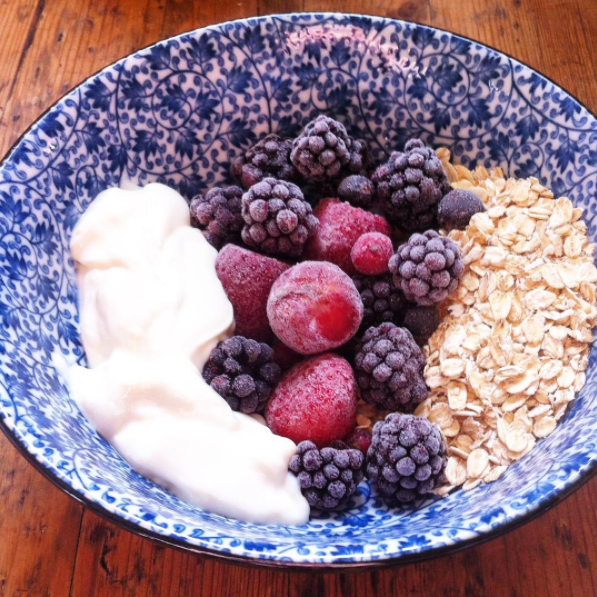 Rosie also made her breakfast fruitier by adding frozen fruit to her breakfast bowl. So refreshing! 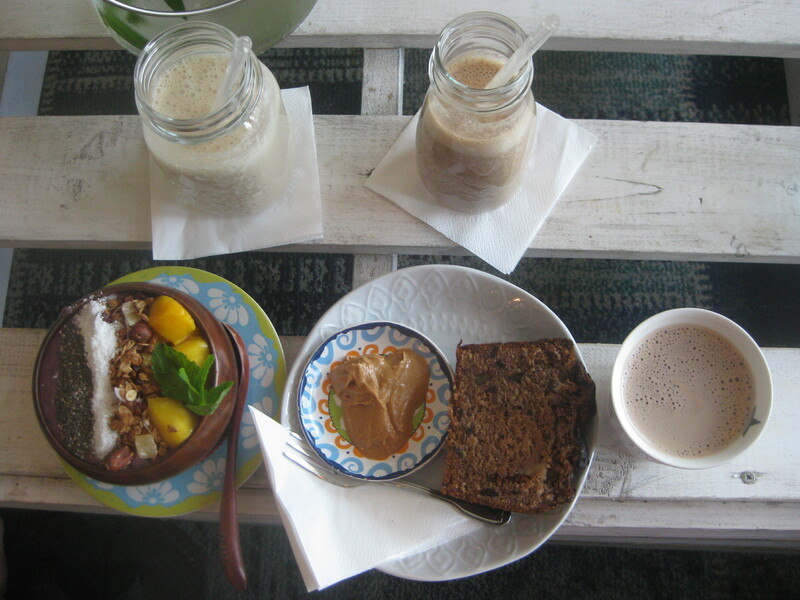 Jenny was too lazy to add fruit to her own breakfast, and instead relied on someone else to do it: check out this banana bread and acai bowl. 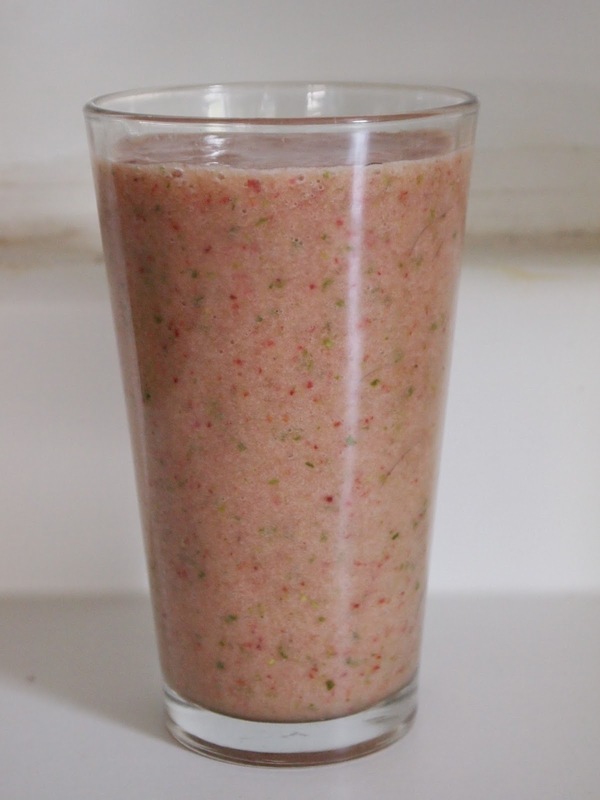 Julie shares this delicious fruit smoothie, with a sneaky, non-fruit ingredient that you might not guess: romaine lettuce! If you’re intrigued, check out her blog post for more info. There were also plenty of cakes with a fruity twist, starting with this chocolate-covered strawberry cake. 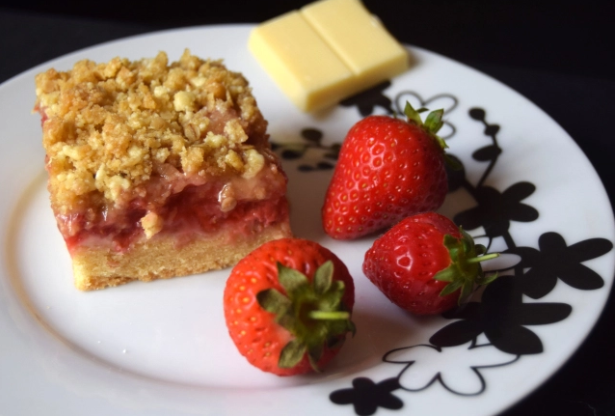 Emma has provided you with the recipe for these strawberry white chocolate bars. Just look at that crumble on top! 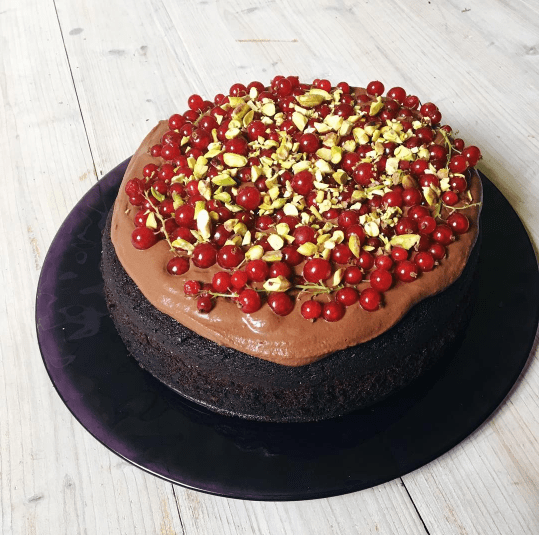 And here’s a sensational chocolate and red currant cake with a chocolate mousse topping. 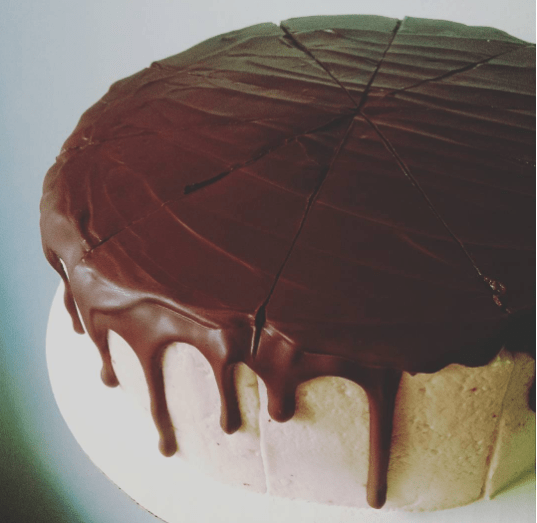 Can we have a slice, please? Our blogger of the month, Jen, shares the recipe for Jamaican mango-banana muffins, made with local mangoes. Living the dream, indeed! 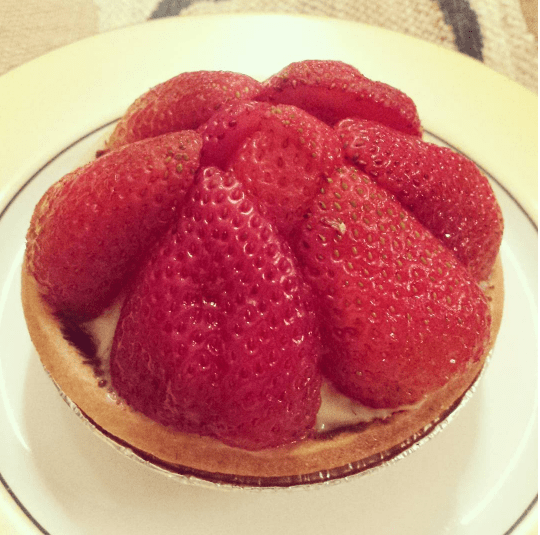 Unsurprisingly, strawberries were a very popular choice this month. Susan showed them off on top of an elegant little flan. 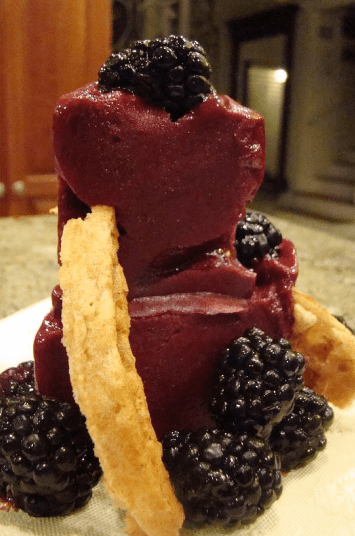 And speaking of elegant – could we interest you in this blackberry merlot sorbet? 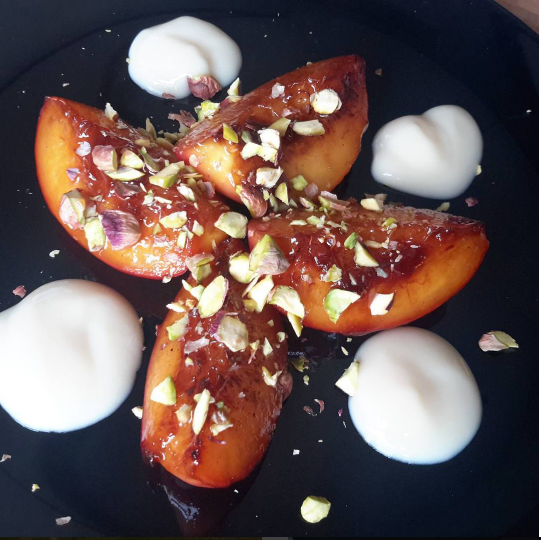 And here’s another fancy dessert – these nectarines were caramelised with ginger wine and served with custard. Incredible! 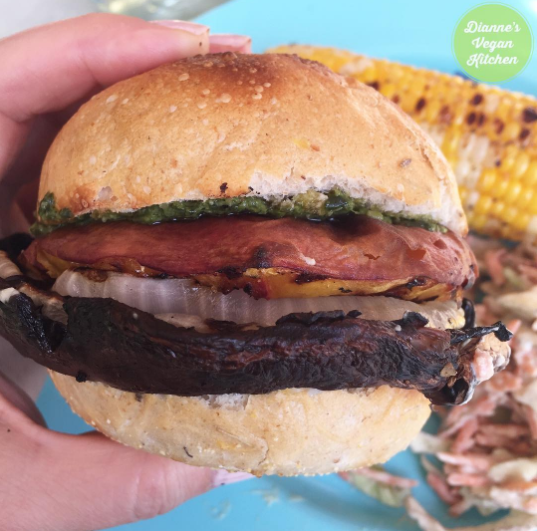 And fruity dishes aren’t always sweet, as Dianne showed us with this portobello peach sandwich. Grilled fruit is perfect for summer! 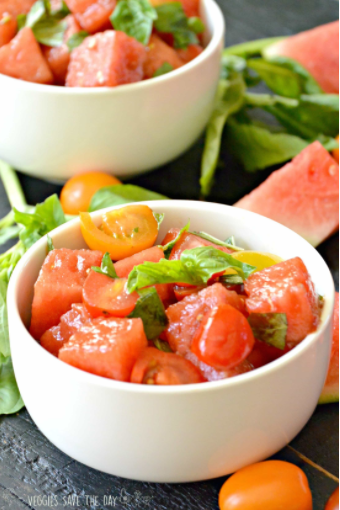 And here’s a fruity salad – you can find the full recipe for this watermelon tomato basil salad over on Amy’s blog. 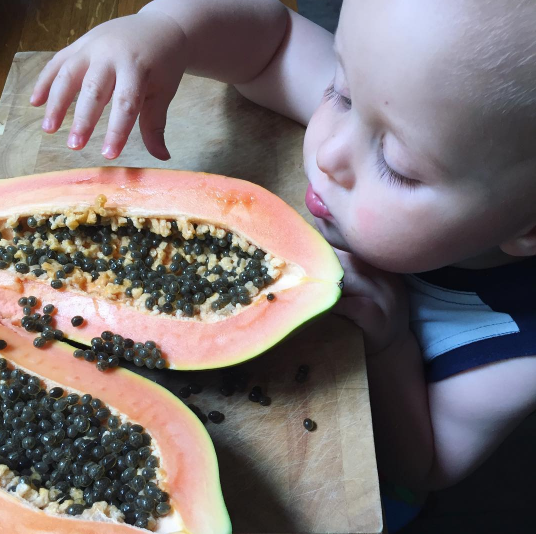 And finally, here’s the next generation of vegans tucking into some fruit! We hope you’re all happily tucking into some fruit whatever season it is for you right now! Thanks to all our participants for brightening our days with these photos and recipes. Stay tuned for our July MiniMoFo announcement, coming soon!